The book examines the pattern of non-farm development at the national level and identifies the correlates and determinants of occupational diversification for the major states. It is one of the few studies that unravels the dynamic processes associated with growth and development at the sub-national level; wherein it elucidates changes in rural employment pattern and its implications for urban growth. The book fills a crucial gap in current research, notably, an understanding of conditions that enable large villages to assume an urban character. By providing micro-level study of census towns to capture the nuances of the dynamic situation in the countryside, the book would offer useful insights and provide reference material on the social and economic impacts of urban growth, thereby satisfying the needs of students, researchers and practitioners of regional economics, rural development, and sustainable urbanization. The book is the outcome of financial support received under the Research Programme Scheme of the Indian Council of Social Science Research (ICSSR), New Delhi, India. Niti Mehta is Professor of Economics and officiating Director at the Sardar Patel Institute of Economic and Social Research (SPIESR), Ahmedabad, Gujarat, India. Prior to this, she was associated with the Agro-Climatic Regional Planning Project of the Planning Commission wherein she was involved in formulating resource based decentralized agro-climatic plans for the country. Her research interests are agriculture development, employment issues, agrarian growth and rural transformation, urbanisation and related areas. Dr. Mehta has authored and co-authored several research papers in journals and books on these subjects. Her books relate to hired labour use in agriculture, sources of agricultural growth and total factor productivity, and human development. 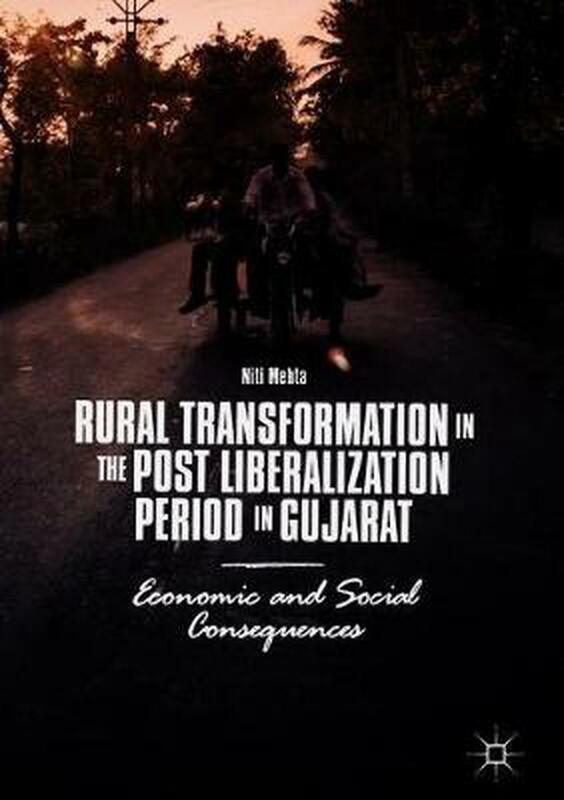 Chapter 1 Overview.- Chapter 2 Occupational Diversification and Rural Transformation in India.- Chapter 3 Changes in the Employment Scenario in Gujarat.- Chapter 4 Structural Changes and Implications for Urbanization.- Chapter 5 Changing Socio-Economic Profile of Urbanized Villages (Census Towns).- Chapter 6 Census Towns in Gujarat: Economic, Social and Environmental Effects of Rural Transformation.- Chapter 7 Rural Transformation in Gujarat: Major Findings for Policy Focus. 1 Illustrations, black and white; XIX, 255 p. 1 illus.